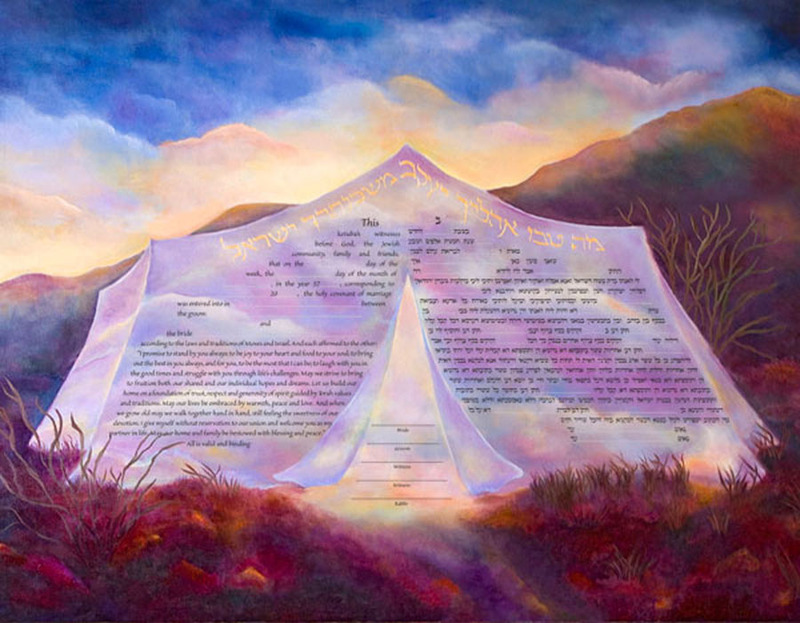 Sacred Space Ketubah – With the words “matovu” across the top of the tent “How Goodly Are Your Tents, Oh Jacob, Your Dwelling Places, Oh Israel” – this ketubah creates sacred space in your new home together. 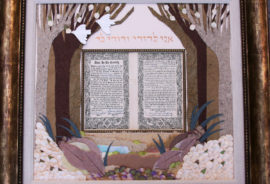 This ketubah measures 24″ x 19.5″. 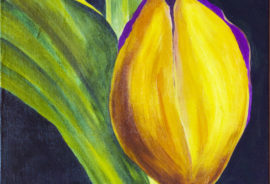 This is also available on canvas for an additional $75. 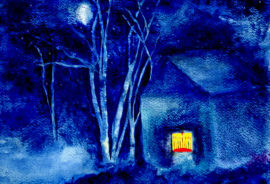 Please e-mail Jackie regarding pricing for personalization, framing and text options. 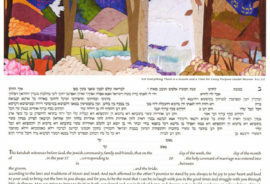 If you wish, you can have “Ani L Dodi V Dodi Li” (I am my Beloved’s and my beloved is Mine) printed in beautifully calligraphed Hebrew across the top of the mountain for no extra charge. This is for me. 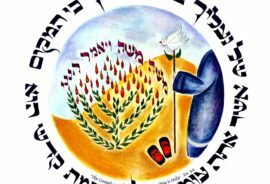 This image inspires me to feel the presence of the holy one. Just sent this to a bride and groom printed on canvas beautifully finished with a “floater” frame – simply gorgeous! They love it.